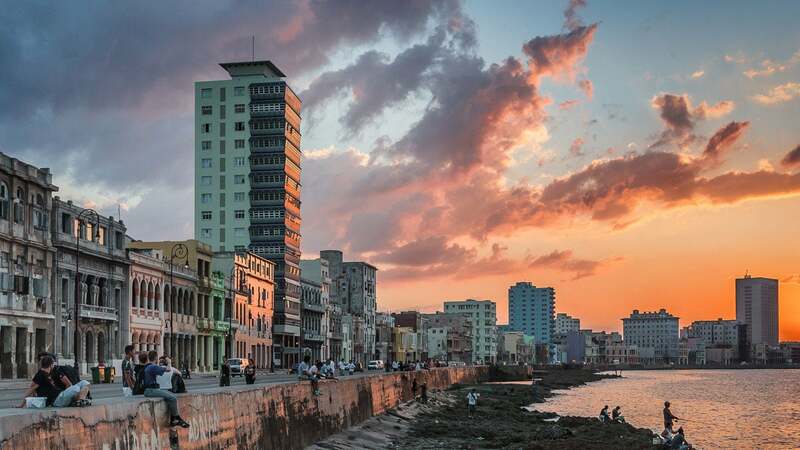 Cuba is a quirky fairy tale, and Havana is the beautifully majestic and dust-covered Cinderella all at once. Open-top vintage cars, neoclassical buildings and music rising from local households will steal your heart. But careful, Havana isn’t quite the sweet princess that you’ve read about. There’s a frustrating and weary side of her that can blow away a travelers’ romantic notions. You are very likely to find yourself torn between falling madly in love with Havana and being pushed away by her. Havana, after all, is a place where people feel intense and complex feelings. A lot of Havana’s bohemian ambiance lies in its eclectic architecture, which ranges from colonial to neoclassical. 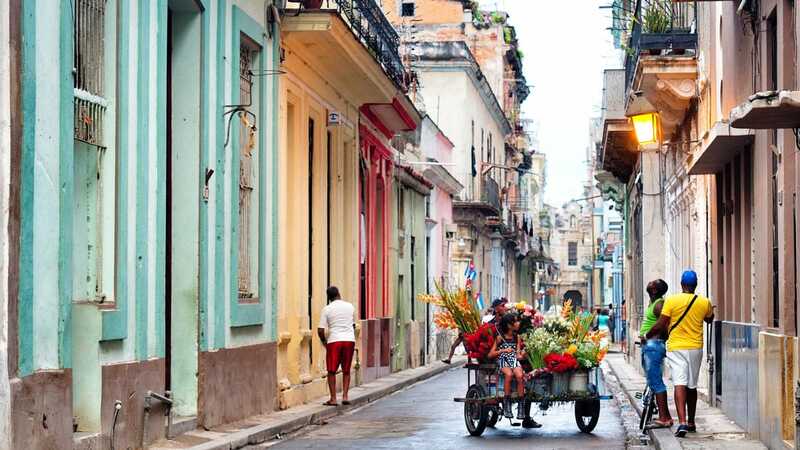 Without a doubt the best of things to do in Havana is wandering the streets aimlessly. In fact, we could even end this guide here, because the second-best of the things to do in Havana doesn’t come remotely close. Havana is essentially one massive open-air museum. Because Cuba became isolated from the rest of the world following the revolution, the country is effectively frozen in time. Both the people and the country had no purchasing power, so locals were encouraged to live with what they already had on hand. This has meant that all personal possessions, the pace of daily life, buildings and habits are all from a bygone era. Where some tourists see shabby and rundown buildings, others (like ourselves) feel the quiet charm the unkempt architecture gives off. It’s this charm that really adds to the soul of the city – not that it needs more. But there are others people who feel differently about it. 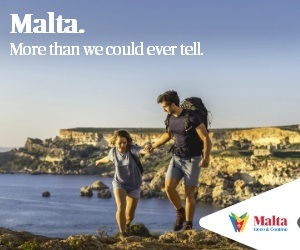 They are overwhelmed by the unkempt streets and lack of infrastructure, and the locals who are constantly trying to sell you something. So it is a matter of personality. 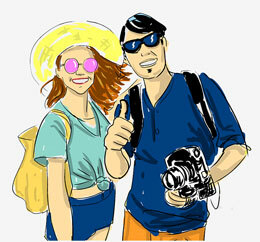 So, having the right perspective and expectations are important for your trip to Havana and that is what we here for. How many days should I set aside for Havana? Plan to set aside a minimum of two and a maximum of four days. Welcome! You’ve made it! But before you start crossing items off your itinerary of things to do in Havana, let’s get you properly into the city first. There is public transportation from the airport into Havana, but the process is quite grueling, so we don’t recommend it. Once you leave the airport, there is an exchange office immediately to the right. After changing your money out for the local currency (CUC), take a taxi into the city (around 30 minutes). The fare is fixed, 25 CUC at the time of writing. The fare is the same even if you split the cab with two groups and need to be dropped off at separate places. Habana Vieja (Old Havana), Habana Centro (residential center of the city, not the tourist center) and Vedado. Each one has its own unique character. 1. Habana Vieja (Old Havana) – This where the Spanish established themselves when they first settled in Havana. Also, the heart of tourism today. This area is also the fastest-growing and receives the most investment. By far, this is the most aesthetically pleasing place in all of Havana. If you ask us, you should stay in Habana Vieja. 3. Vedado – This was added onto the city a bit after 1930. You won’t find any colonial buildings here. Before the revolution, when Americans still came to Cuba, the most popular clubs and casinos were located here and, unsurprisingly, this is where all the rich people came to hang out. 3.5 – Parque Militar – More appropriately a continuation of Old Havana, it’s somewhere between a city and a village. We felt it was worth demarcating. 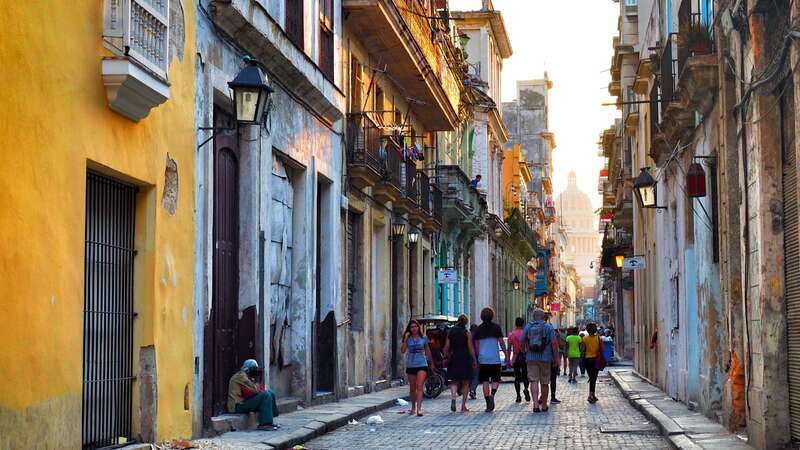 We talked above about the simple pleasure of ambling down Havana’s streets, but simply going from one place to another won’t cut it. Stroll, meander, wander, dawdle – definitely dawdle. One of the best things to do in Havana is to sit in a square, drinking a well-deserved mojito in the sweltering heat. Or spend a half-hour in line for some food truck churros. Scratch that, definitely do both. Seeing children play baseball in their socks, batting with broomsticks while old ladies sit on the stoop chatting is much more of a cultural experience than trying to make it to a museum before closing time. Take a ride in a vintage car on a mini-tour of the city. The tour that we did went through Malecon down Havana’s coastal road, where we were able to watch the sunset. 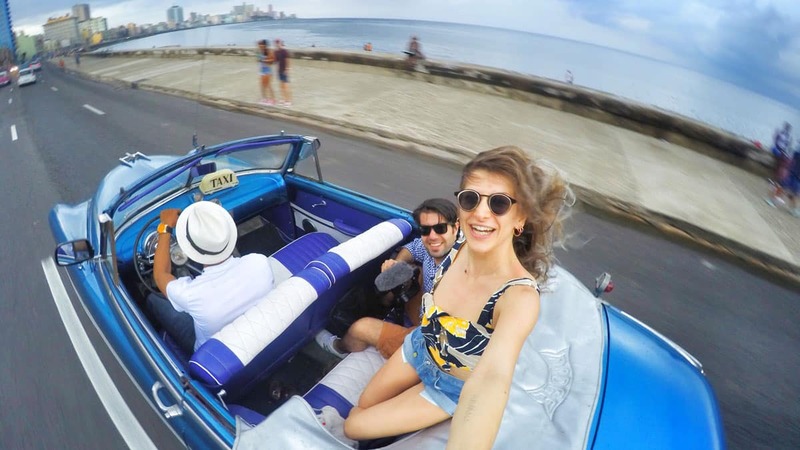 We promise, this is one of the most thrilling of things to do in Havana. 1. If you do decide to change routes, we suggest passing through Malecon, as the coastal road is really something you shouldn’t miss out on. 2. Passing through Malecon at sunset is a great idea. 3. If you want to be taken to the airport in a vintage car, call +55 339 804. For any fellow fans of the Beverly Hills Teens cartoon: I’m happy to report that there is even a car that looks like Bianca’s! There is nothing else like this in Cuba. A renovated refinery, the Fabrica De Arte Cubano functions as an area for culture and art. There is some serious art production in Cuba, and I’m not talking about the tropical-themed paintings sold on the streets. Art collectors from New York closely follow artists in Cuba. 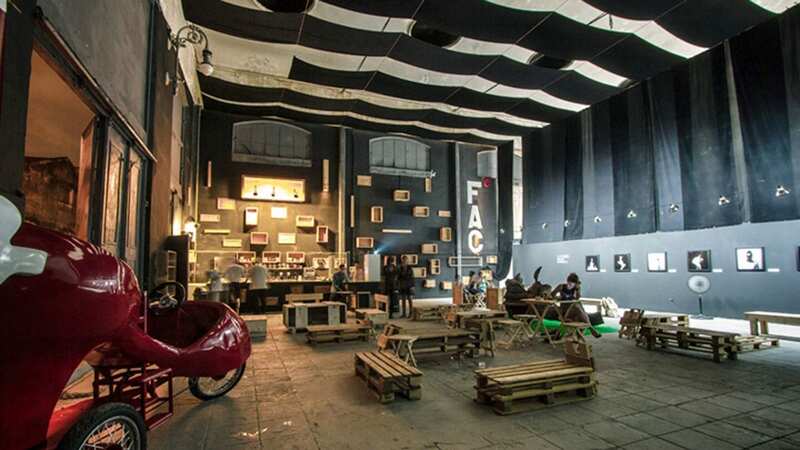 Fabrica De Arte Cubano has drinks, food and a poppin’ nightlife. This is where the highest-profile artists come to hang out and take the stage. Here, you’ll see an entirely different side of Cuba. Address: Intersection of Calle 26 and Calle 11 (Calle = street), Vedado, fabricadeartecubano.com. For the location, click here. Taking the No. 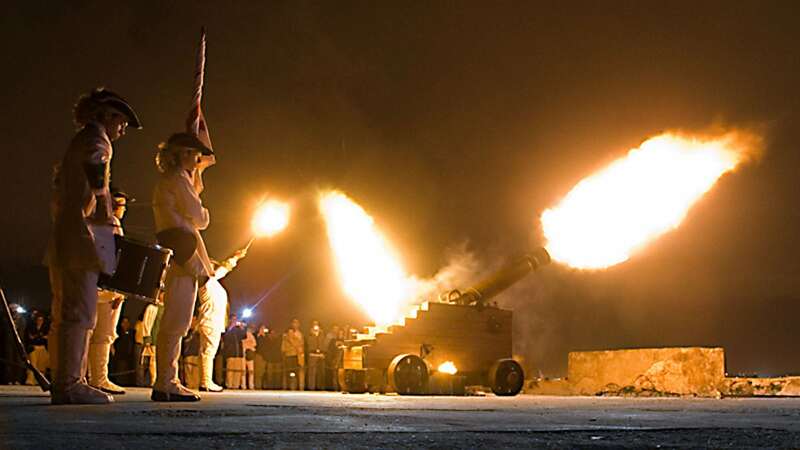 4 spot our list of things to do in Havana, the cannonball firing ceremony is an incredible spectacle. It takes place at the Morro-Cabana Army Park. You’ll want to head toward the entrance of the cove across the water from Old Havana. You can get to the harbor by taxi (from Old Havana, it’s 4 CUC) or via the Casablanca ferry from Old Havana. If you opt for public transportation, the P-15, P-8, and P-11 metro-buses will bring you close enough. The ceremony takes place at an 18th-century fort, with soldiers decked out in old school military regalia, complete with a trumpet. While they don’t shoot actual cannonballs into the sea, the soldiers do fill the cannon with gunpowder and fire them off. All this lasts about 10 minutes, but it is an interesting experience to be in the fort and to hear the gunfire. The ceremony takes place at around 9:00 pm, after it gets dark, but we think there are a couple of advantages to being there hours earlier at sunset. 1. Watching the sunset from this location is spectacular. 2. You can walk around Morro Castle (entrance is 2 CUC and it closes at 8:00 pm). We’ll provide you with more details in the “Places to See in Havana” section. 1. If you only have one night in Havana, don’t go to the park. Only come to see the ceremony after going on a tour in the vintage cars. From here, you can go to the Fabrica Des Astes Cubanos. After all, it is open until 3 am. 2. No ferries run after the cannon ball ceremony, meaning that you have no choice but to return to the city by taxi. This is why the prices all of a sudden skyrocket to 8 CUC, though there are always plenty of taxis. 3. You can negotiate a package deal with the taxi driver: Going to the park + Waiting during the ceremony + Going to Fabrica Des Astes Cubanos. 4. We could only find a single place to eat around here, and it was pretty terrible pizza. Needless to say, the lack of decent food options was a bit problematic. Plan to fill up before or after! Unfortunately, the Museum of the Revolution doesn’t quite live up to the promises of its name. The summer we went to Cuba, a large portion of the museum was mostly photos, and the artifacts that were around included items like a piece of gauze used to nurse a wounded guerilla fighter. There are no translations describing who the fighters were, where they were injured or the importance of the Cuban Revolution. You come for your corner of the world to learn about Cuba, only to find a museum that doesn’t have any information in English… yet, you still have to see it! Otherwise, you’ll be asking yourself for the rest of your life whether or not you should have checked it out. Spend the 8 CUC on your ticket, be disappointed and then check it off your list. The museum is open every day between 10:00 am and 5:00 pm. Please forgive me if I sound a tad bitter, but the decision to visit Cuba over any other tropical country is usually because of its revolutionary history. Cuba deserves a better revolutionary museum, in my opinion. For the location, click here. Tip: Forget just researching things to do in Havana, be sure to read up on Cuba’s revolutionary history before going. This is really the only way that you are going to get anything out of what you see. We were so disappointed that we have taken it into our hands to make sure you won’t be. We have dedicated an entire article to the Cuban Revolution – Fidel Castro & Che Guevara & Communism. Read the article before going, and maybe you won’t be completely blindsided like we were. While not a priority stop as it’s a bit out of the way and the line is long, set some time aside to have an authentic and original experience if you can! Plus, ice cream in the summer heat ranks high on a list of things to do in Havana, or really anywhere, right? State-run Coppelia is a giant “ice cream park” meant to provide Cubans with an easily accessible way to enjoy the sweet treat. Fidel himself became somewhat obsessed with ice cream. In a country where the average monthly income is between 20-25 dollars, it’s no wonder ice cream being offered up for 4 cents is wildly popular among locals. Who says you can’t eat ice cream for breakfast? Certainly not the army of people waiting outside for the doors to open at 10 am.Probably the only orderly line you’ll see during your stay in Cuba will be the one at Coppelia. I’m convinced that the one thing uniting all Cubans is their deep love and admiration for this institution. And this isn’t your garden-variety foodie obsession either – people were eating 10 scoops (one portion is 5 scoops)!!! Our reasoning in recommending this place isn’t based on the ice cream alone – it’s a place where tourists and locals can intersect and observe one another naturally, and it carries cultural meaning. The ice cream shop would even top a local’s catalogue of things to do in Havana. The use of different currencies by locals (pesos) and foreigners (CUC) has created two worlds in Cuba. Even though locals and tourists might be walking down the same street, their lives aren’t likely to intersect. For many Cubans, a meal at typical cheap restaurant could amount to a week’s pay. Coppelia is one of the few places where this difference is not so apparent. But be forewarned that the system is still trying to create a wedge between tourists and locals. As soon as someone spots that you’re a foreigner who will be paying in CUC, you’ll be directed to another line where the price of a scoop increases 25-fold (1 CUC). 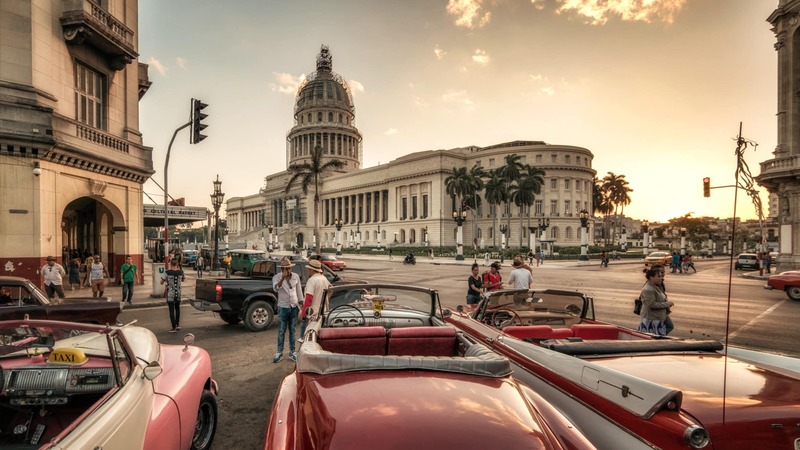 If you are aching to know more about life in Cuba, communism and locals’ ideas on these topics, then be sure to check out our “Life in Cuba Today” article for a better understanding of the country. Fidel was a huge fan of dairy products and, after the revolution, he made sure that Cubans never went a day without ice cream. In 1960, he ordered his ambassador to Canada to ship him 28 boxes of Howard Johnson’s. At the time, Howard Johnson’s was the biggest hotel chain in America. After trying each flavor, Fidel put Cecilia Sanchez in charge of creating a better and more accessible ice cream for Cubans. For the first time after the revolutionary movement, there was a market for 26 flavors (an allusion to July 26). The 1993 film Fresa y Chocolate explores how members of Cuba’s gay community created a code to socialize under a strict and oppressive regime. Different flavors stood for different sexual preferences, allowing people of the same sexual orientation to meet each other. Until 2014, the film was the first Cuban movie to be nominated for an Academy Award. Note: The portions are big – we split one between the two of us, which was more than enough. You’ll probably want to share a portion too, as it seems to be the norm in this establishment. Hours of operation: 10:00 am – 9:00 pm, Address: At the intersection of 23 and L streets, Varadero Telephone: +53 7 8326184 Click here for the location. The graffiti covering the walls of the streets of Callejon de Hamel are definitely worth checking out. 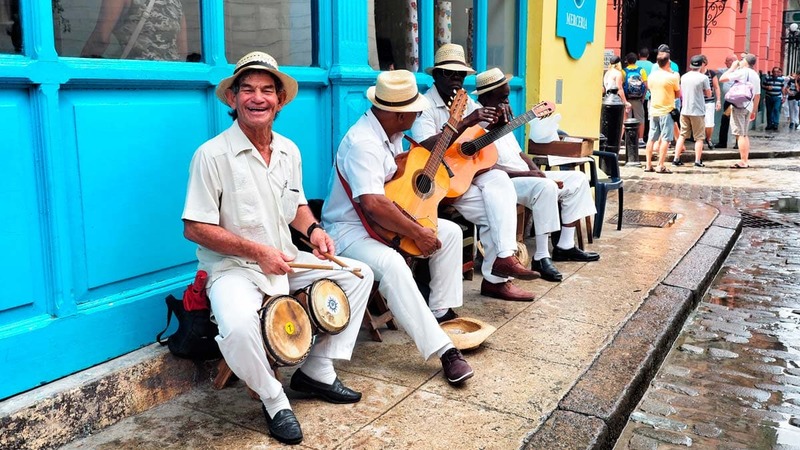 Getting a good dose of culture is something you’ll never want to stop doing in Havana. There are also a couple of stores that sell psychedelic prints. Try to make it on Sunday to see the rumba, or African Tango. The first time that the Spaniards brought slaves from Africa to Cuba was in 1526, but a larger boom occurred between 1842 and 1873. In those 30 years, they brought 221,000 slaves to the island. With the Africans came their rich culture, and, over time, both local and African cultures intertwined to create something new and powerful. Thus, the African Tango was born. Another example of this intertwining of peoples is how the African religion of Yoruba mixed with Christianity to become Santeria. Presently, 11-12% of the population believe in Santeria. If you would like to learn about Santeria, you can read our article on Life in Cuba. The people of this faith still perform the ritual of connecting with God through dance and percussion. This ritual takes place on Sundays on the streets of Callejon De Hamel. Even though this performance has changed over time, it’s still a sight to see. Click here for the location. Now let’s get to the typical places tourist see when they are in Havana. The red marks Old Havana. A larger map is below. 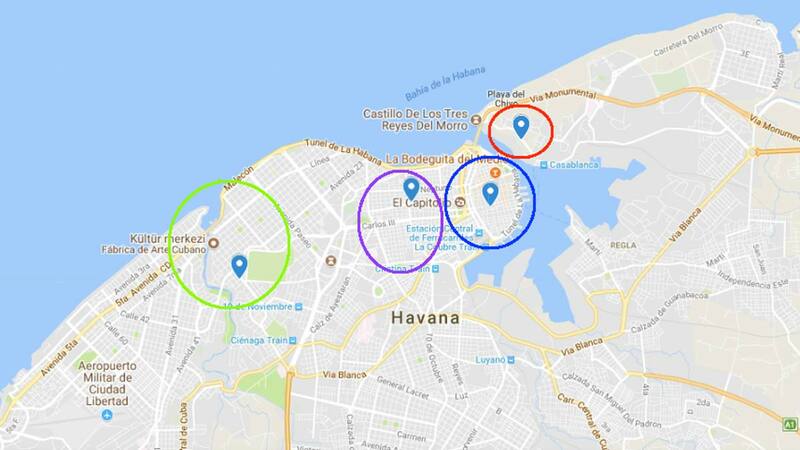 So as I told you before Havana can be broken down to 3,5 half areas and I will be listing things to do in Havana region by region. This way you can plan your days easier. 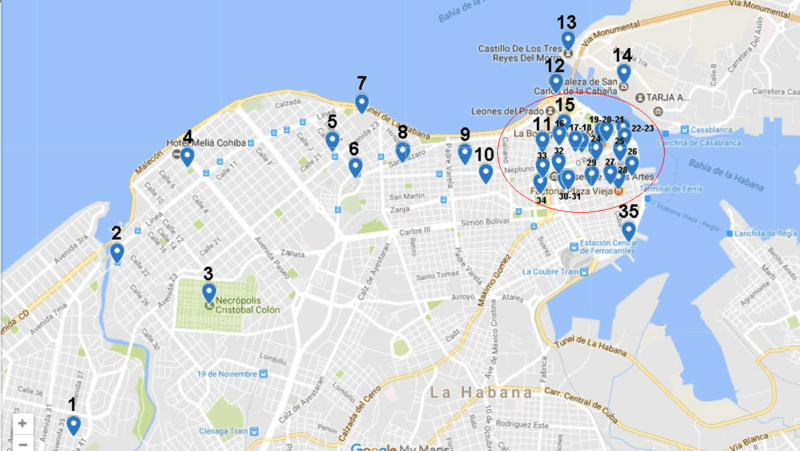 Where do locals hang out in Havana? 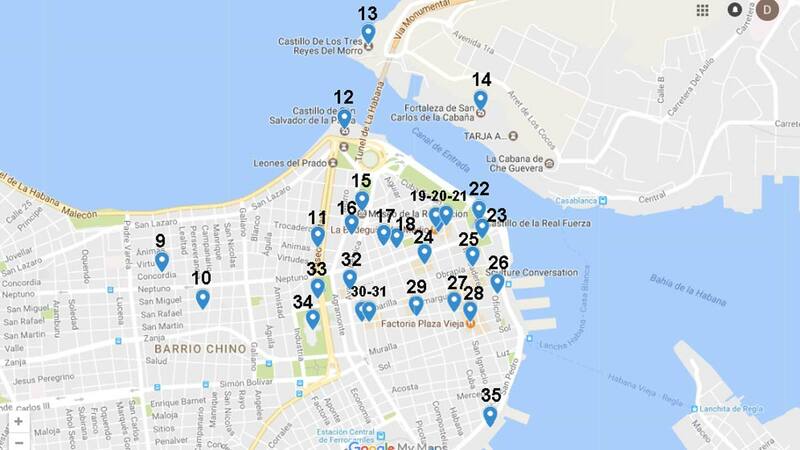 There are a couple sites that you might want to check out, such as Castillo de la Fuerza, Castillo San Salvador de la Punta and Hotel Nacional de Cuba, which are all located on the 8-km stretch that is Malecón. 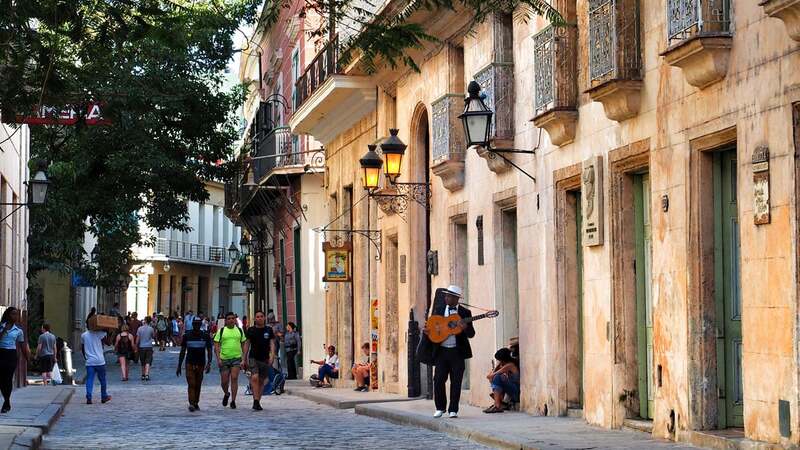 The street starts at Old Havana, runs through Habana Centro (the city center) and goes through Vedado. Central Havana and Old Havana are two areas that are nestled within each other, but most of the things to do in Havana are in the old quarters. For this reason, we listed everything together in one map. Why is Havana so important to Cuba? Due to Cuba‘s strategic location, Havana was the most important port for the Spanish. They brought all the yields taken from plantations and repackaged them in Santiago de Cuba and Havana before sending everything to Europe. Due to the important trading role played by Havana, the city received the most Spanish investment out of all the colonies. A large part of Cuba’s trade between the 1700s to the 1900s came from its sugar cane. Even though rum is wildly popular throughout all of Latin America, Cuba’s rum became famous due to the quality of its sugarcane. Because of the economic importance of Cuba and Havana, the English declared war to take the island from the Spaniards, but failed. Later in the 1900s, the Americans had a more cunning plan to take Cuba away by supporting locals who opposed Spain’s presence. This allowed the Americans to take advantage of what Cuba had wanted politically and socially – so much so, that around 70% of Cuba’s land and resources were owned by American companies in the 1920s. The entire island’s history can be expressed in its architecture: before the Spaniards arrived, the primary style of architecture in the 1700s was baroque, followed by the neoclassical period in the 1800s. The Americans brought art deco, which was followed by more eclectic styles. 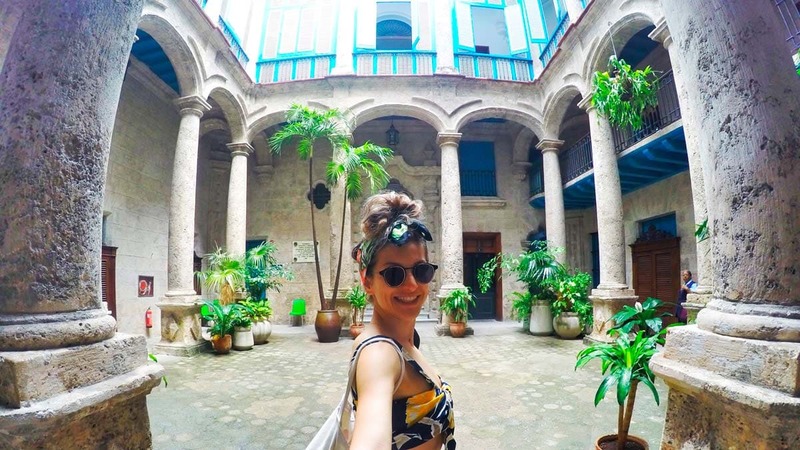 Keeping an eye out for these architectural elements while wandering the city’s streets is a fun activity when it comes to things to do in Havana. 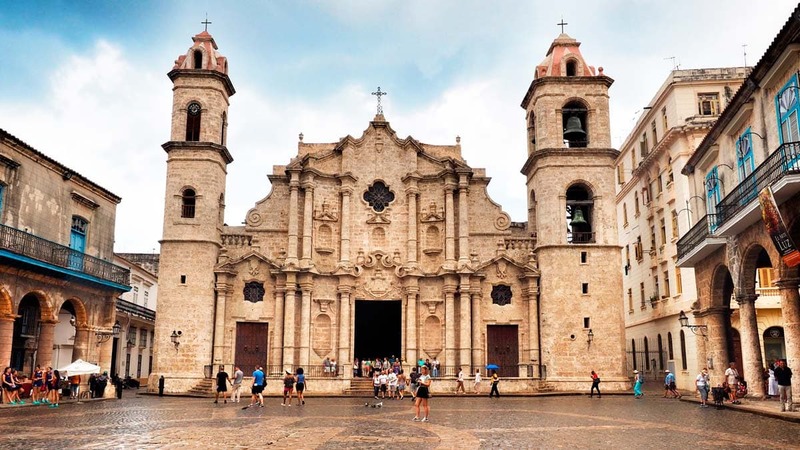 For a good example of the baroque style: Check out San Cristobal de Habana Cathedral and Plaza de Catedral. In terms of neoclassicism: Hotel Inglaterra, El Capitolio (Capitolio Nacional) and Universidad de la Habana. For glimpses of art deco: You can visit Edificio Bacardi and Teatro America. Havana’s best instance of eclecticism is at Hotel Raquel. Plaza de Armas, Plaza Vieja, Plaza de San Francisco, Plaza del Cristo and Plaza de la Catedral are all on UNESCO’s World Heritage Site list. Dating back to the 1520s, Plaza de Armas is Havana’s oldest square. The plaza was once used as an army base for a number of years after it was constructed. Surrounded by a number of historical buildings, the plaza has now turned into a place where people hang out and shop. In the middle of the plaza, there is a bazaar that sells used books every day but Sunday. While it might be fun to flip through the old books on Cuba’s history, just know everything is unsurprisingly in Spanish. If you walk straight from the eastern corner of the square, then you’ll see the Hotel Santa Isabel, where you can pop in to see the hotel’s crystal chandeliers and antique furniture. Click here for the location. 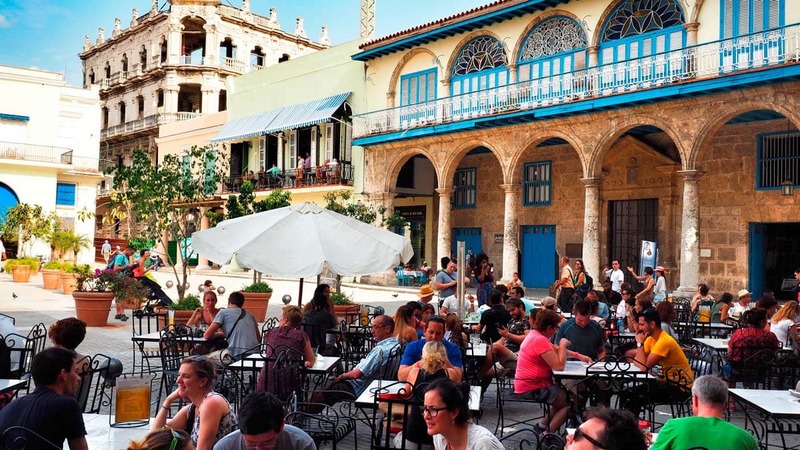 Another of the things to do in Havana that locals love, chilling in the square. Plaza Vieja – while not as old as Plaza de Armas – is still one of the older squares. Similar to Plaza de Armas, Plaza Vieja was used for military purposes before being turned into a small shopping area for locals. Since around 1835, the plaza has been used as an open-air market. There are also several shops, bars, and cafes to check out. We suggest that you take a breather in a cafe by sipping on an ice-cold mojito while people watching. This is a square where you’ll be able to comfortably watch how locals express their boundless joy through dance. Being at this square is particularly nice in the evening. Click here for the location. As Mercaderes Street is closed to cars, you can easily go on foot to explore museums, shops and restaurants. The museums generally have statues on display, with others devoted to arts and crafts. One of the best parts is that many of the museums here are free. 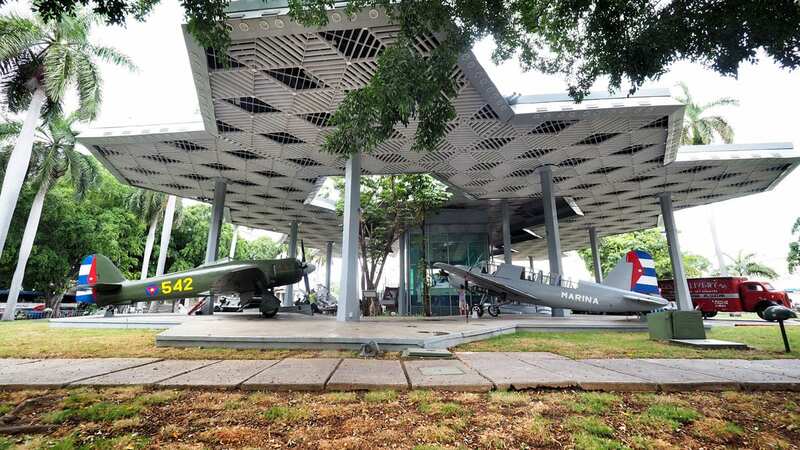 Though we mentioned museum hopping isn’t at the top of our list of things to do in Havana, if you’re the kind of traveler who’s got an itch for such sites, here are a handful in the area: Casa de Asia has paintings and statues from Japan and China, Armeria 9 de Abril features an old weapons depot and Museo de Bomberos is dedicated to the 19 firefighters who lost their lives in the metro fire of 1890. At the intersection of Mercaderes and Obrapía Streets, there is a statue of Simón Bolívar. Nearby, the Museo de Simón Bolívar is dedicated to her. Click here for the location. The most well-known and crowded street in all of Havana is Obispo Avenue in Old Havana. The street is closed off to cars, and there are tons of stores, boutiques, booksellers, museums, old pharmacies and unbelievably stunning houses. If you are looking to buy something, then you should definitely meander down this street and – as Havana’s longest avenue – this might take awhile. It’s inevitable that you’ll see a lot of tourists here, as this tends to be the popular hangout spot for foreigners. Click here for the location. The capitol building, which was built in 1929, resembles the White House and says a lot about Cuba’s history. It was made by Gerardo Machado – one of the dictators that liberated Cuba from the US. The capitol building cost 17 million dollars to build, with 5,000 people working on it over three years. Address: Paseo de Martí, La Habana For the location, click here. Built in the 18th century, San Cristóbal Plaza is the youngest of the city’s four most popular squares. In the middle of the square, you’ll easily spot the Zanja Real, Havana’s first aqueduct. If you wish, you can go up to the San Cristobal Cathedral’s clock tower, which costs 1-2 CUC. 1. In front of the cathedral, you’ll see Bodeguita de Medio, which is just one of the many bars frequented by Ernest Hemingway (Empredrado Street). 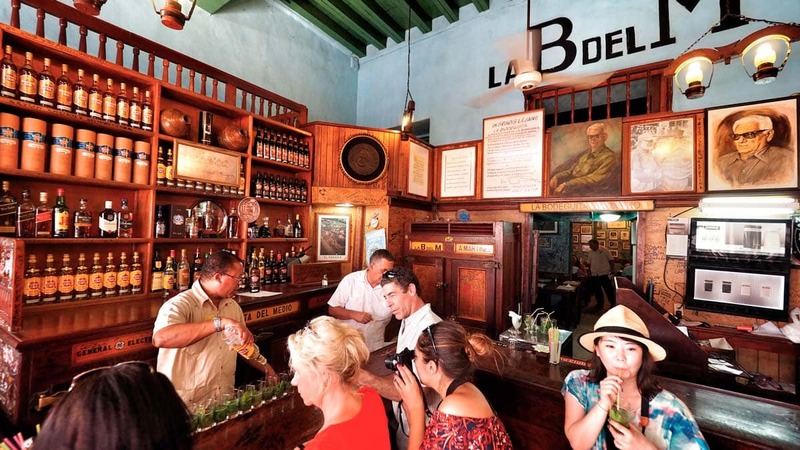 Where Hemingway used to come to drink mojitos, La Bodeguita del Medio is a major tourist attraction. Perhaps you’re not a literary lover or don’t think it’s worth waiting in line to check out an old Hemingway haunt. Well, the bar is a stone’s throw from the Cathedral Plaza, so we still suggest taking a peep as the staff will allow you to step inside. Besides, it’s still an important feature of things to do in Havana. If you want to order something like a mojito, be warned that the prices here are a bit higher than elsewhere in the city (standard price for a mojito is 2 CUC, but here it is 4 CUC). However, the ambiance is worth the extra 2 CUC. The walls are lined with the names of people who have visited from all corners of the world. In fact, so many people have visited that there is no space left to sign on the walls, and people have resorted to signing on the street outside the bar. Hours of operation: 8:00 am – midnight Address: Empedrado, La Habana, Cuba Telephone:+53 7 571375 Click here for the location. The bar is so famous, it has been franchised and has different locations in Argentina, Costa Rica, the UK and Germany. 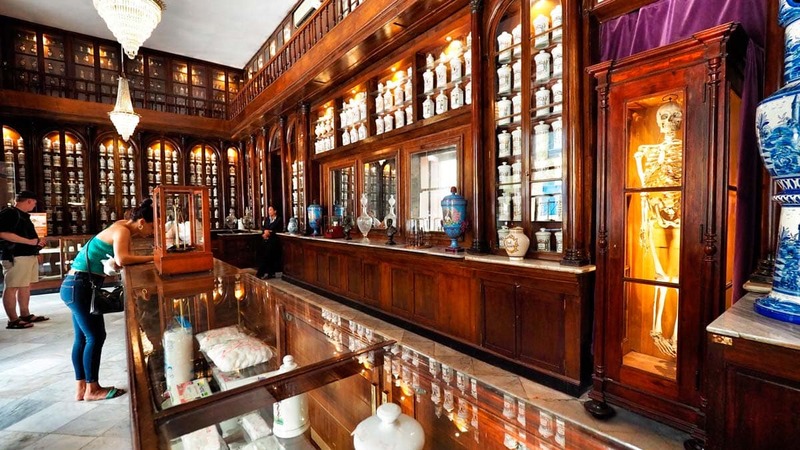 The Museo de la Farmacia, three or four blocks away from Plaza Vieja, currently functions as both a museum and a pharmacy. Opened in 1886, the pharmacy has a section displaying practices of old. The nostalgic atmosphere is quite nice, and we suggest a quick visit. The museum is open between 9:00 am – 5:00 pm. Address: 41 Teniente Rey, La Habana, Cuba Telephone: +53 7 8667556 Click here for the location. Named for the Spanish word “paseo,” which means to roam around aimlessly, Paseo del Prado (or Paseo de Marti to many locals) was built in 1772. It separates Central Havana from Old Havana and, in 1925, the street was given a new look with marble benches and trees lining the street. The street has a number of buildings similar to Hotel Sevilla. Situated to the west of Parque Central and east of El Capitolio, Paseo del Prado is also close to important touristic spots, with the San Salvador de la Punta Fortress about a 10-km walk away. Click here for the location. The Gran Teatro de La Habana is an art center, and the complex houses a theater, concert hall, conference room and an art gallery. It is located on Paseo del Prado and is also called the Galician Center of Havana. It was originally founded as a social services center for the Galician refugees that settled in Havana. Galicia is an autonomous and self-governing region in Spain. Address: 458 Paseo de Martí, La Habana Telephone:+537 8613096 Click here to access the website: www.balletcuba.cult.cu Click here for the location. The Basilica San Francisco de Asis was originally built in 1738 for the Franciscan order as both a basilica and a monastery. When the Spanish later took over, the building was used as a concert hall. In fact, this is Havana’s most active concert hall. Constructed in the baroque style, the basilica even has an attached bell tower. For those who want to see a painting or art gallery, the “Museum of Sacred Art” showcases pieces by artists such as José Nicolás de la Escalera and Vicente Escobar. I’ll admit that there are several things to do in Havana and see in Cuba that your time there might be a bit limited. However, if you are able to attend a concert here, then you get the best of everything: good music, stunning architecture and a taste of art culture. It’s better if you don’t leave buying your ticket to the last minute. Located on the sea side of Plaza de Armas, the Castillo de la Real Fuerza was destroyed by French pirates in 1555 and rebuilt in 1577. Here, atop a hill, you will find the famous statue La Giraldilla, depicting a woman holding an artistic weathervane. In fact, the La Giraldilla Havana Club Rom is the city’s symbol. When Old Havana and its surrounding areas were put on UNESCO’s World Heritage Site list in 1982, the fortress was included as well. This is because Castillo de la Real Fuerza lies at the historical center of Old Havana. In the area surrounding the fortress, there is a sea museum called the Museo de Navegación. Castillo de la Real Fuerza is open Tuesday through Sunday between 9:30 am – 5:00 pm. Admission fee is 2 CUC. Address: At the intersection of Calle O’Reilly and Av. del Puerto Telephone: +53 7 8616130 Please click here for the location. Though we mentioned museums weren’t amongst our favorite things to do in Havana, the Museo de Navegación contains an exhibition on the history of Old Havana and the fortress. It also features a model of a ship that belonged to the Spanish Empire, the “Santísima Trinidad.” Ticket prices are 2 CUC. The museum is open 9:00 am – 7:00 pm. 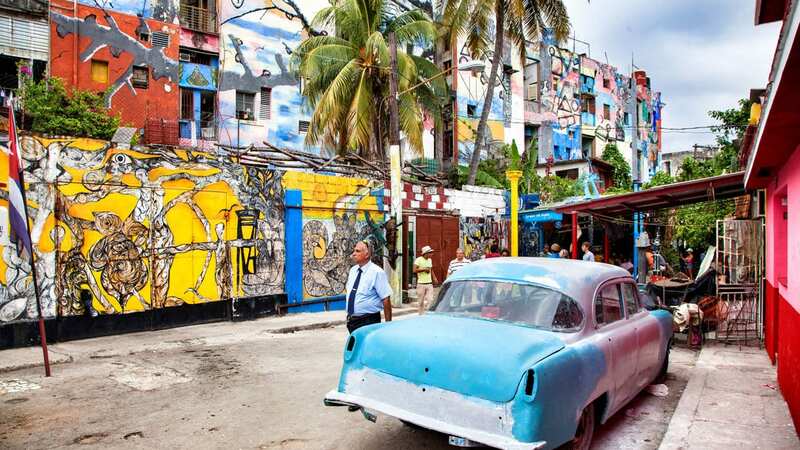 Though this market could pass as an arts and crafts bazaar, you should be aware that items sold here are also super touristy: t-shirts with Che Guevara’s face and paintings that merely say “Havana.” This is the best place to buy souvenirs. If you rummage around enough, you will be able to find paintings with artistic value. If you do buy a painting, make sure that you pay the 3-5 CUC extra for a certificate. You might run into trouble at the airport if you are brining out a painting without a certificate. Hours of operation: Closed on Sundays, otherwise open every other day 10:00 am – 6:00 pm. Address: At the intersection of Avenida del Puerto and Calle Cuba, La Habana Click here for the location. 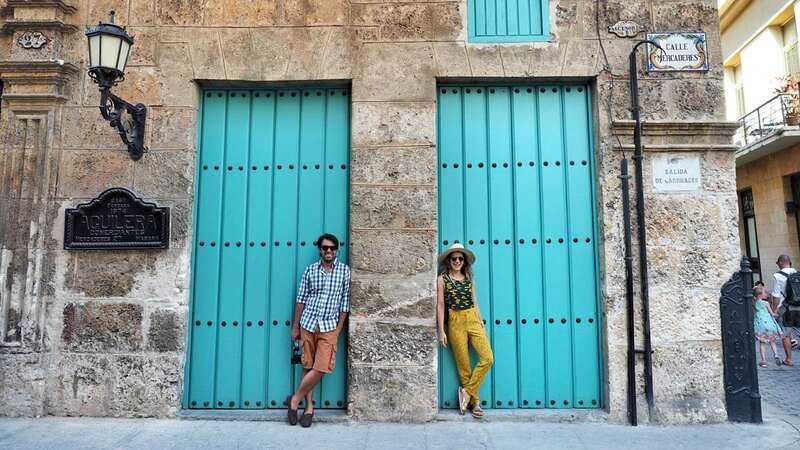 From tour guides to cafes, everyone will try to get you to eat, drink and walk in the footsteps of Ernest Hemingway: many a literary lover would say this trail is the ultimate of things to do in Havana. 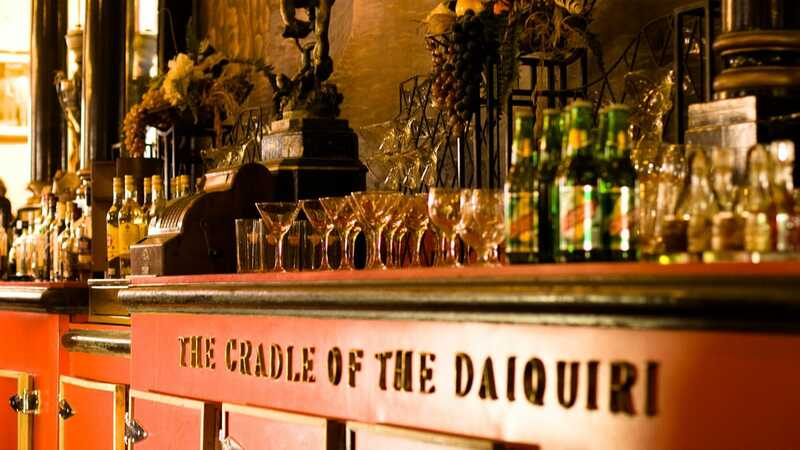 In his correspondences, the famous author talked at great lengths about El Floridita, “the birthplace of the Daiquiri.” You might be turned off by the expensive prices – three times higher than elsewhere – but we still think it’s worth a visit. One cocktail is CUC 6. Hours of Operation: Open every day 11:00 am – midnight. Website: www.floridita-cuba.com Address: Obispo, La Habana, Cuba Telephone: +53 7 8671300. Click here for the location. We talked at length about this in the “Top Attractions in Havana” section. Click here for the location. This museum showcases pieces that explain Havana’s art spanning from the colonial times to the era of modern art. Learning about local art history could be a great plus amongst things to do in Havana for art enthusiasts. There are two buildings that make up the museum, and it really can feel like two museums. The first, “Museo Nacional Palacio de Bellas Artes,” focuses on “Cuban Art” with respect to local artists and pieces. The second one, “Palacio del Centro Asturiano,” features international art and artists. In the main entrance to the museum, there is a statue dedicated to Cuban artist Rita Lonja. Some of the artists you can expect to find in the museum are Bencomo Mena, Manuel Vega, Domingo Ramos. If you want to go into either one of the museums, the price is 5 CUC. If you’d like to visit both, it’s 8 CUC. Hours of operation: Tuesday – Saturday 9:00 am – 5:00 pm, Sundays between 10:00 am – 2:00 pm. Address: Calle Trocadero e/ Zulueta y Monserrate, Havana Telephone: 537 8632657 Website: www.bellasartes.cult.cu Click here for the location. The “San Salvador de la Puntra Fortress” was the most important in protecting Havana in colonial times due to its location in Havana’s bay. 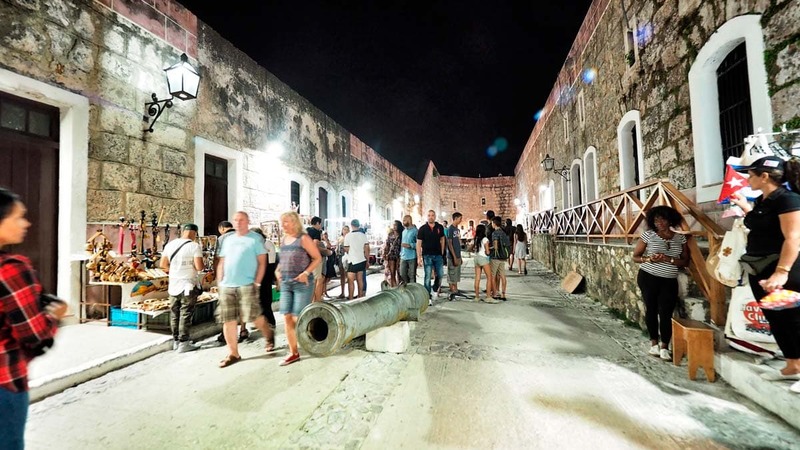 The fortress was built in the 1600s as part of a larger system of three castles – the other two being Castillo de los Tres Reyes del Morro and Castillo de la Real Fuerza – to provide protection for Havana. This fortress was recently opened as a museum after it was renovated in 2002 to restore damage done in the 1700s during the British invasion. The museum has historical items of value on display, such as personal effects and treasure taken from sunken ships between the 1600s and the 1900s. There are three different exhibition rooms always on display; if you want to delve into the history of the fortress’s construction, history and underwater archeology, then this is the place for you. Admission fee is 5 CUC. Children under the age of 12 can enter for free. Hours of operation for the museum: Wednesday – Sunday 10:00 am – 6:00 pm Address: At the intersection of Paseo de Marti (Prado) and Av. del Puerto. Click here for the location. Between 1902-1959, Vedado was where everything was happening at a time when Havana was America’s “city of sin.” This is where rich Americans would purchase their summer homes and where the American mafia made their money in casinos – to turn around and spend at night clubs. Well, of course, until Fidel nationalized all these assets. 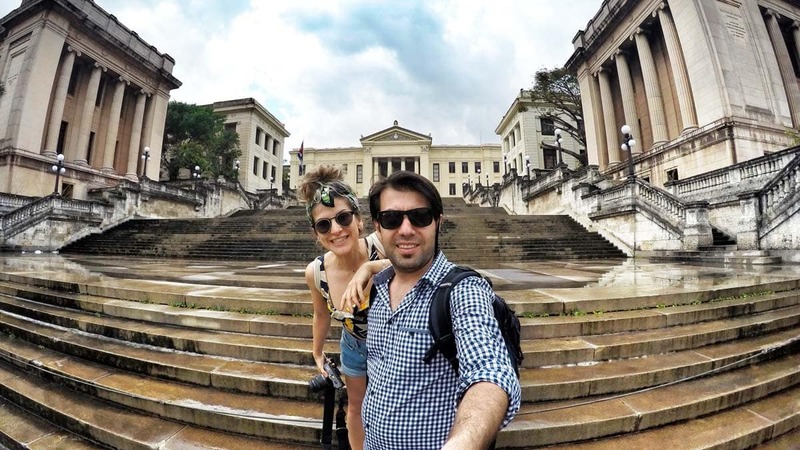 Vedado is still a place where the wealthy come to hang out – but if you ask us, it’s the least attractive place to find things to do in Havana. Located in the Vedado region, Universidad de la Habana was founded in 1728, making it Cuba’s oldest university. Click here for the location. Please refer to the “Top Attractions in Havana” section if you haven’t read it already! Click here for the location. Though it might not seem like an obvious attraction, the most important cemetery in Havana – Colon Cemetery or “Necropolis Cristobal Colon” – is a beautiful tourist hot spot. All you have to do is look up some photos of the massive cemetery to understand why people pay it a visit. Throughout Cuba’s history, famous artists, athletes, politicians and other influential people have been buried here, including Máximo Gómez, Alejo Carpentier and José Miguel Gómez. We are of the opinion that it’s enough to wander around the cemetery for its aesthetics; however, you can purchase a map for 1 CUC if you want to know who is buried where. Perhaps the cemetery’s most-visited tomb is at the center of the legend “La Milagrosa.” And so it goes: Amelia Goyri died in childbirth, and she and her baby were buried at Colon. The widower she let behind would visit her grave multiple times a day, each time knocking thrice on her tomb in an attempt to wake her up. The tomb was exhumed years later, and witnesses say that Amelia’s remains were in tact, and even in death she was still cradling her baby in her arms. A large number of Cubans and tourists alike visit “La Milagrosa” and leave flowers, celebrating a mother’s eternal love. Admission is 5 CUC. The map is 1 CUC. Open every day between 8:00 am – 6:00 pm, but they only accept visitors until 5:00 pm. Address: Calle 12, Vedado Click here for the location. 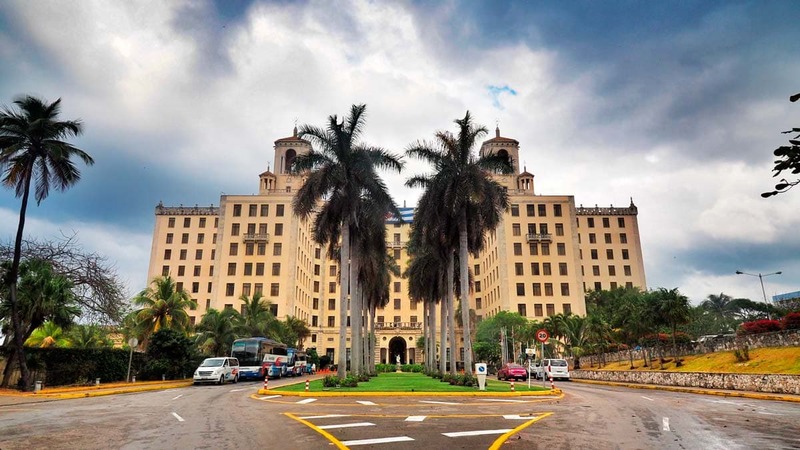 Hotel Nacionel has become a symbol for the wealthy in Cuba. While the hotel is now owned by the state, it owned Havana’s most popular casino before the revolution. The casino was home base for the mafia at the time and the Havana Conference mentioned in the Godfather movie took place here. Seeming to embrace its sordid history, they still use mojito recipes that were favorites among mafia bosses. Here are some important figures who have stayed at this hotel: UK prime minister Winston Churchill, US president Jimmy Carter, Frank Sinatra, Ava Gardner, Rita Hayworth, Mickey Mantle, Johnny Weissmuller, Buster Keaton, Jorge Negrete, Agustín Lara, Rocky Marciano, Tyrone Power, Alberto Simões, Rómulo Gallegos, Errol Flynn, John Wayne, Marlene Dietrich, Gary Cooper, Marlon Brando, Ernest Hemingway, Jean-Paul Sartre, Yuri Gagarin, among others. Address: Calle 21 y O, Vedado, Plaza, Ciudad de la Habana, Cuba Telephone: +53 7 8363564 Website: www.hotelnacionaldecuba.com Click here for the location. Please refer to the “Top Attractions in Havana” section if you haven’t already. Click here for the location. This is the location of the cannonball ceremony we mentioned earlier. The Morro Fortress is also here, but in order to get to it, you would have to take a taxi or go down the road along the coast. Between the years 1589-1630, the fortress was constructed to safeguard Havana’s coast from privates and invaders as it was attacked on several occasions by French, Dutch, and English pirates. The fortress’s famous lighthouse was added in 1844. The entrance fee is 6 CUC. It’s open every day 10:00 am – 7:00 pm. Address: Carretera de la Cabana, Havana Telephone: +53 7 8620617 Click here for the location. Fortaleza de San Carlos de la Cabana is normally shortened to “La Cabaña,” so odds are that you’ve probably come across this name before when looking for things to do in Havana. If you’ve noticed, there are tons of historical fortresses in Cuba, but the ones on the American side are the biggest and the oldest – this one is the third-largest. Used by the Spanish after it was first built, it became a Cuban base after they won independence. While Fidel Castro and his brother Raul were at the helm, La Cabaña was used as a torture prison. Now, part of its grounds are a park, and there is a museum inside. The El Morro Castle is only about a 10-minute walk from here. La Cabaña is open every day between 10:00 am – 10:20 pm. Click here for the location. If you’re not turned off by the idea of traveling 2.5 hours, you’ll love the sandy beach at Varadero. 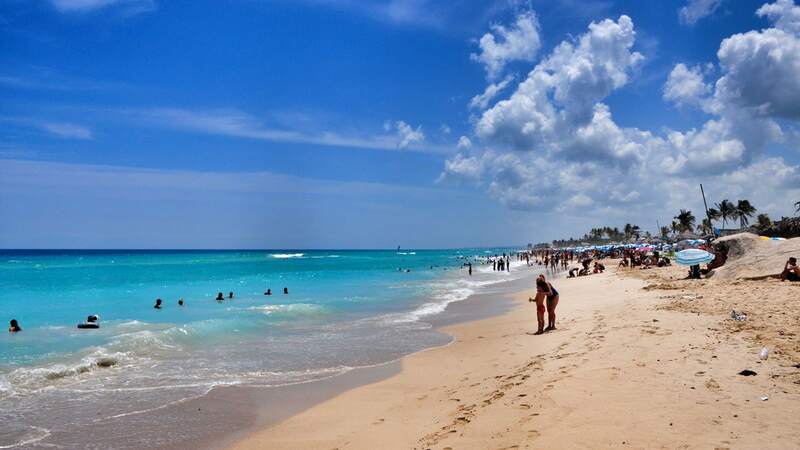 But, surprisingly, there are some beaches you can get to without leaving the city of Havana! If may want to spend more time exploring the things to do in Havana instead of wasting 5 hours on the road for some beach time. If so, have a taxi take you to Playas del Este and get off when you see Hotel Tropicoco. Here, you’ll find a place for yourself, with nothing separating you from the turquoise-blue water aside from a couple of palm trees. There are enough food and drink establishments here to keep you going with all that time you’ve saved! Click here for the location. 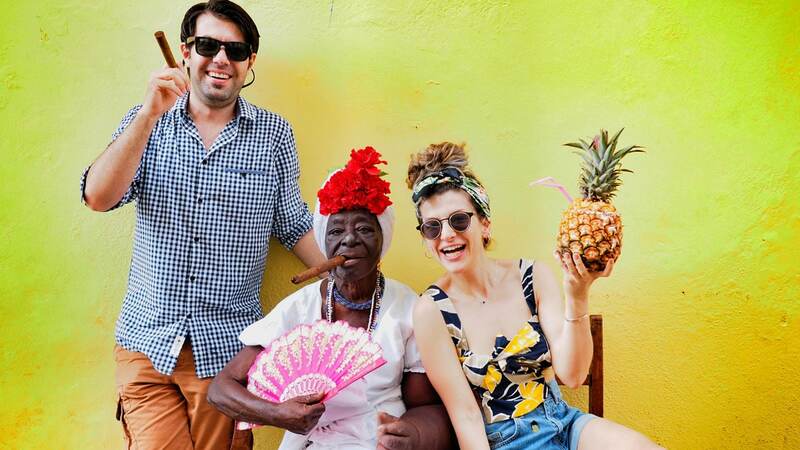 We would be stretching the truth a bit if we said Cuba was a center for gastronomy. It’s not like you’re going to be put off by anything you eat in Cuba, but you’ll find that the food is mostly “ok.” Food rations, economic restrictions limited the scope of chefs’ innovations. Because of this, we often found that the ambiance of Havana’s restaurants to be much more impressive than the skills of the chef in the kitchen. That doesn’t mean experiencing the local food and downing drinks aren’t important things to do in Havana! As we mentioned in our Cuba Travel Guide you really must stay at a casa particular (or homestay) while traveling. This was by far the best place for the price that we came across in Cuba (we even went and knocked on 20 other doors in the area just to find the best one). The location is ideal, and this hostel is just like a boutique hotel with its appealing interior and design. 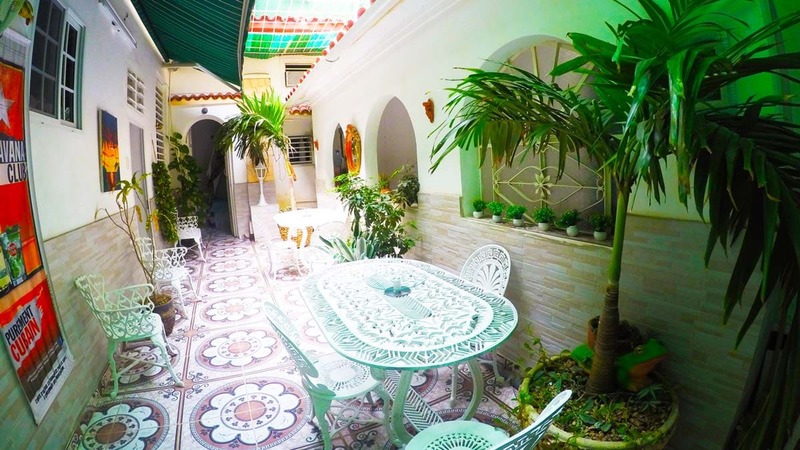 Address: Calle Empedrado, No 409 | La Habana Vieja Telephone: +53 7 8671623 Website: hostallasmaletas.com E-mail: reservas@hostallasmaletas.com Click here for the location. This is a casa particular where you can stay with a Cuban family. It is a well-furnished place where you’ll be able to relax. The location is also amazing, as it is only a block away from the Plaza Vieja. The bedroom on the second floor also has a balcony. Most rooms have a private bathroom. Address: Between 115 Brasil, Cuba and San Ignacio, Old Havana region. Telephone: 005378626287. Email: cheznous@ceniai.inf.cu. Website: www.cheznoushabana.com. Click here for the location. Because Casa Tropical is located in Central Havana, it’s a bit far from the city center, but we thought it was still located in a decent spot. Located in a residential neighborhood, Casa Tropical is the right place for you if you want a sneak peek into the real Cuba. There are a number of rooms, but ask for the one facing the garden, on the top floor at the top of the stairs. Price per night is 35 CUC. Address: Industria 154, la Havane. Click here for the location. Note: We recommend looking on AirBnB and Casa Particular sites to find other places to stay. We also suggest that you head to Trinidad after Havana. For all our recommendations, you can read our Things to do in Trinidad piece.